A backlog is expected once the issue is resolved. THE NATIONAL MEDICAL card unit is currently experiencing technical difficulties which has meant that people applying for medical cards are not able to do so. The process is usually carried out online, however the technical issue has stopped people applying and receiving updates on their submissions. Kerry TD Michael Healy Rae said, “This is causing awful distress to particularly sick people who are wondering why their cards are not being processed”. In a statement the HSE said the issue is being urgently addressed and “systems will be restored fully to all concerned, as soon as possible”. 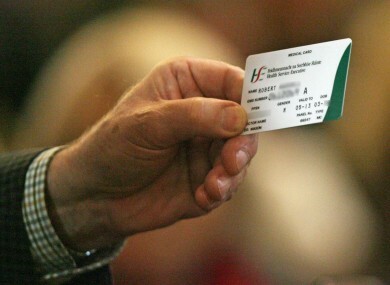 The processing of non-emergency medical card and GP Visit Card applications will recommence once systems are restored. All applications received are monitored in order to identify priority cases for the grant of eligibility, without delay. A HSE spokesperson also confirmed to TheJournal.ie that “work is going on in the background” regarding medical card applications but added that there will now be “a bit of a backlog”. Healy Rae added that “it is envisaged and hoped that it will be up and running tomorrow (9 August)”. Applications for medical card eligibility in ‘emergency circumstances’ will be addressed by contacting cru.emergency@hse.ie; Tel: 01 -864 7186 Fax: 01 864 7192. Email “Technical issue stopping people applying for medical cards ”. Feedback on “Technical issue stopping people applying for medical cards ”.